MURRIETA, CA, April 24, 2019 /24-7PressRelease/ — Pardee Homes‘ ‘Built to Save’ event is happening now through May 5th offering special values on select homes in the Inland Empire including neighborhoods in Lake Elsinore, Menifee, Murrieta, French Valley and Beaumont. Pardee Homes’ ‘Built to Save’ offer is available on move-in ready homes and includes up to a $10,000 financing incentive plus a choice of either one year of paid HOA dues or an outstanding appliance package with washer, dryer and refrigerator. Find this amazing savings opportunity at ten of Pardee’s new home neighborhoods in the Inland Empire where home prices range from the low $300,000s to the low $500,000s. Beacon is one of three new home neighborhoods 2018 Pardee in the thriving Sundance master-planned community. Set against a mountain backdrop, you’ll find parkways lined with stately palms, neighborhood parks and near2018 shopping. Residents can take advantage of private Tioga Park, with its beach entry pool, spa and play area. In addition to Beacon, the ‘Built to Save’ event is also taking place at Cascade and Abrio in Beaumont. Among the move-in ready homes available during the spring promotion is a Plan 2 (Homesite 79) home at Beacon. This exquisite single-story model has four bedrooms, three baths, a four-bay tandem garage and includes a den, game room, courtyard and beautiful quartz kitchen countertops. Located on a large, cul-de-sac homesite, this approximately 3,349 square foot home is priced at $495,650. Take advantage of the “Built to Save” event today 2018 visiting the Pardee Homes website to view move-in ready homes at Starling in Lake Elsinore; Avena in French Valley; Kadence, Canvas, Newpark and Easton at Centennial in Menifee; and Tamarack at Spencer’s Crossing in Murrieta. For more information call (951) 429-1870 or go to www.pardeehomes.com. To visit Beacon at Sundance in Beaumont exit I-10 at Highlands Springs Avenue and go north. Turn left on Cougar Way; right on Tioga Trail and follow the signs to the New Home Gallery. 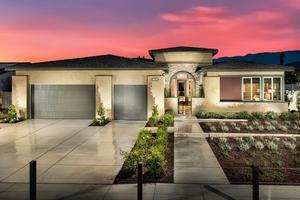 Pardee Homes Inland Empire designs and builds new homes and communities for first-time to luxury homebuyers. Established in 1921, Pardee Homes Inland Empire is accomplished in the planning and development of master-planned communities, green homebuilding measures, environmentally sensitive development practices, and customer-focused processes for new home purchases, and is also widely known for its steadfast civic outreach. Pardee Homes Inland Empire was recognized as 2017 Builder of the Year 2018 the Building Industry Association of Southern California – Riverside County Chapter. Pardee Homes is a member of TRI Pointe Group® (NYSE: TPH), a family of premium regional homebuilders. .